You did not only complete me, but you also completed my home and my world. I want to spend every year of my life loving you. Wish you a happy new year! You filled my life with the abundance of love, joy and smiles. You’re the kind of wife only a fortunate one can get. Happy new year! You are biggest blessing of my life. You have made every dream of mine come true. May the new year bring all the joy that you deserve! You are and will always remain to be the man of my dream. I love You with all my heart and respect you for the person you are. Happy new year! My life has been more like a fairy tale since you came into my life. You’ve made all sadness in my life vanish with a touch of your love. Happy new year! I dreamt for a sweet husband and a happy home and god introduced me with you. You are the best achievement in my life. Happy new year! I don’t think I can ever have a bad year in my life as long as you’re in it. You’re really the best life partner ever. Happy new year! Thanks for making the last year of my life a collection of beautiful memories. Your presence in life is everything I ever dreamt of. Happy new year! Being born to parents like you is a blessing for a lifetime. I am thankful to you for loving me and taking care of me since my birth. Happy new year! Even if I die and be born a thousand times to a thousand different parents, I could never be as happy as I am for being your born to you! Happy new year! God always has the best plan for me. It all started when he decided to send me to the most amazing parents in the world. Happy new year! 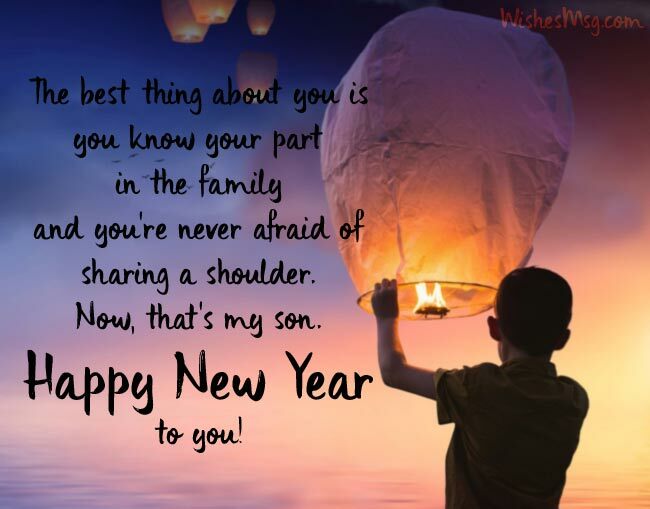 I want to make this new year the best year for you two. 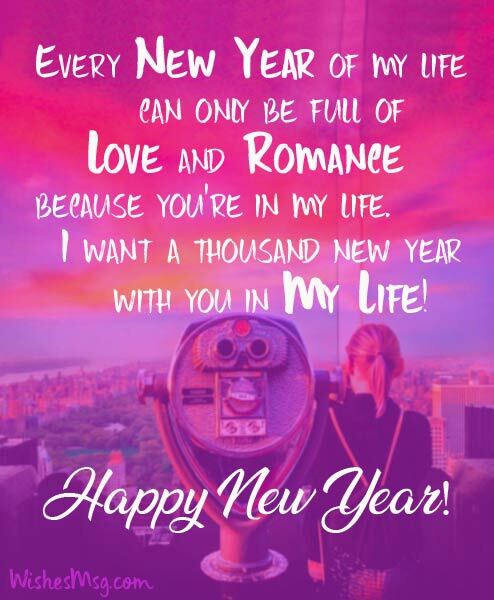 I want to make sure you are happy and enjoying each moment of the year. Happy new year! It doesn’t matter how far I am from you guys, I’ll always be missing you and especially now, because it’s the New Year’s Eve. Happy new year! Its still few more hours to go, but I’ve already started missing mom’s delicious cooking. Happy new year to everyone. I’m on my way! As the sunlight kisses your forehead to let you know it’s a new morning in the new year, I’m from far away sending to you love and lots of care for the new year! 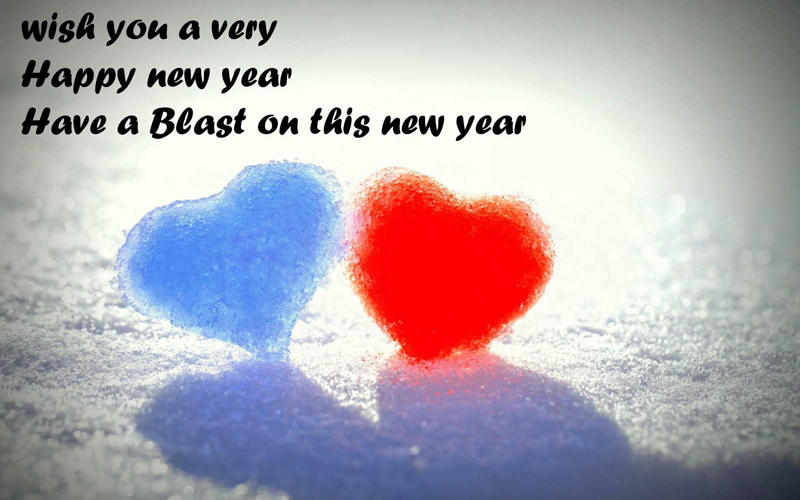 I wish this new year will be so full of fun for you. I wish you enjoy every moment of this coming year. Happy new year! You and I share the same root of the same tree. It doesn’t matter how far we are from each other, we’ll always be connected by our hearts. Happy new year! We have so many memories together that its impossible to enjoy a New Year’s Eve without thinking of you! Happy new year dear sister! The old one with so many memories of us is about to leave. But don’t be sad, we are going to make a bunch of sweet memories in the new year once again. You took care of me throughout the last year as a true guardian. I want the same for the rest of my life. 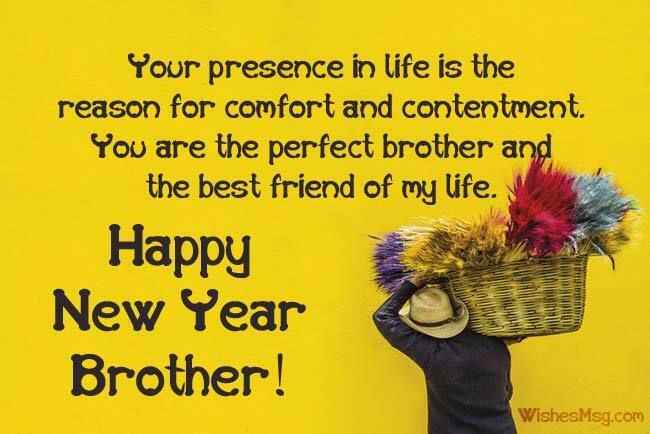 Happy new year to my beloved brother! I feel proud to see how handsome and strong you’ve grown up to be. It’s your time to make the best use of the moments in your life. happy new year! I never had a doubt that someday you’d achieve everything you wanted in life. Because you’re my son. Happy new year! You can always count on a good son when everything in life seems to fall apart. You’ve proved this true many times in the past. Happy new year! You have always been a great son to me. It’s time to become the man for the family. 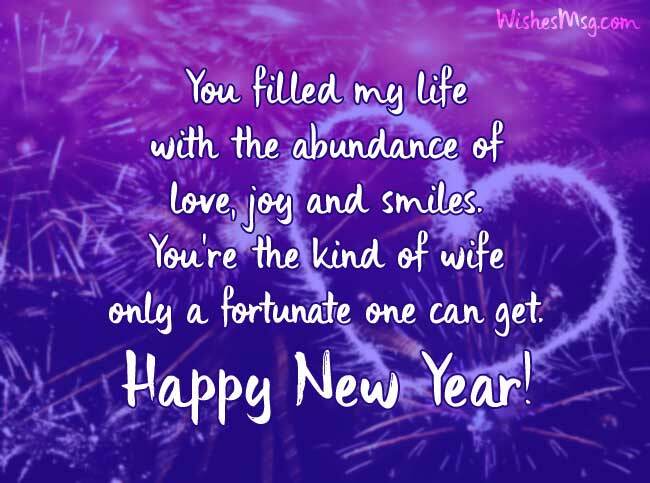 Happy new year my dear! May the sweet lord fill your path with the abundance of success and prosperity. May he guide you to eternal peace and happiness! happy new year! May the almighty shower your life with the love of dear ones and keep you always on the right path in life. 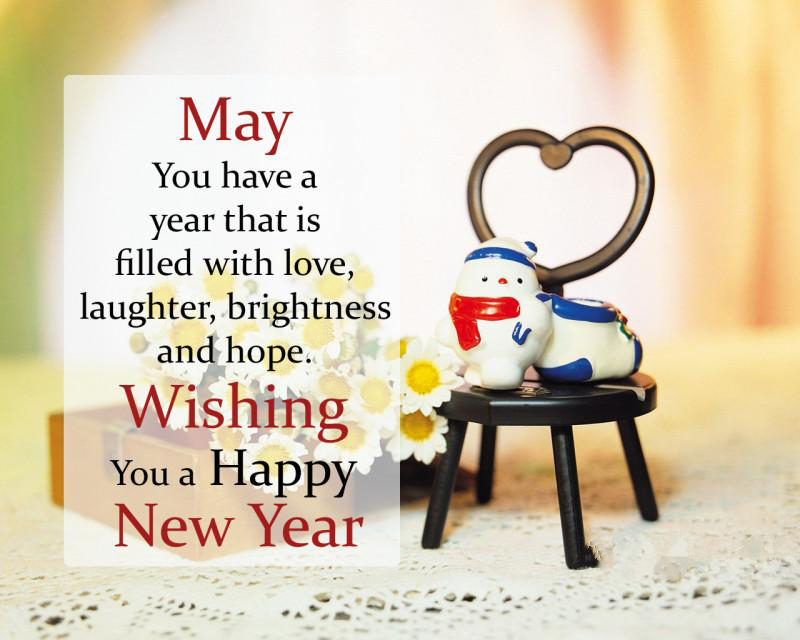 Happy new year to you and your family! 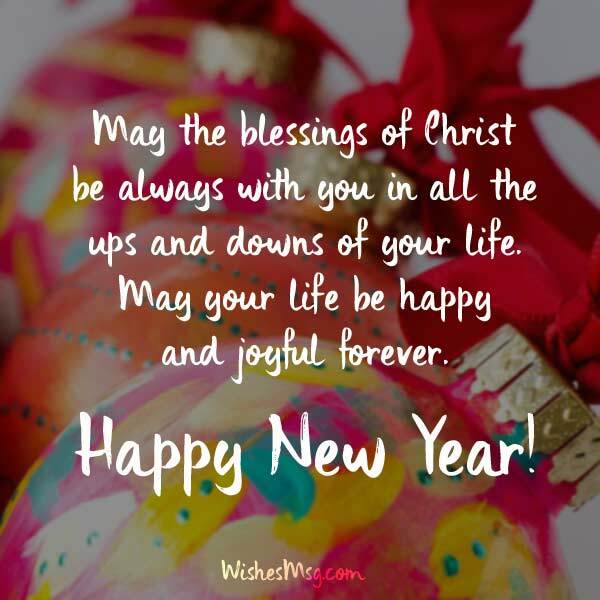 May the blessings of Christ be always with you in all the ups and downs of your life. May your life be happy and joyful forever. Happy New Year! 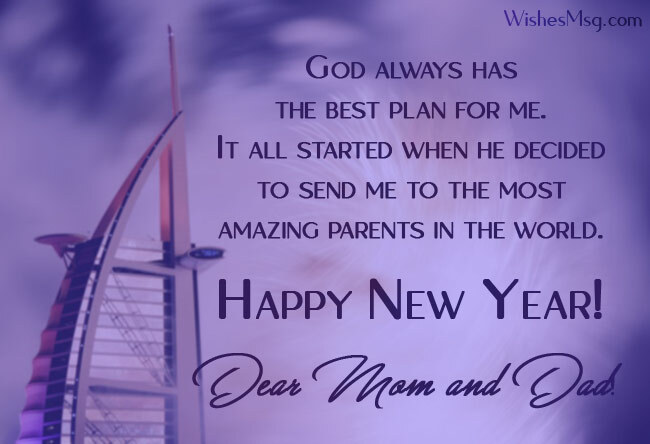 I pray for the betterment of you and your family in the coming year. May you be guided towards the path of love and redemption. Happy new year! Let us thank god for a fruitful year that’s coming to an end today. May he keep us blessed with his supreme light of power and knowledge! You are the reason behind all of my achievements in life. You are and always will be a source of inspirations for millions like me. Happy new year! You’ve taught me how to be humble when you have everything and how to be confident when you have nothing. 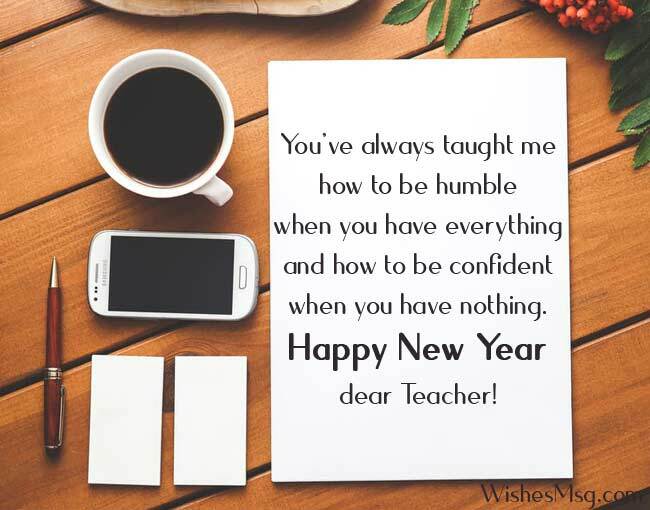 Happy new year dear teacher! You are not only my favorite teacher but also my biggest mentor. I’m indebted to you forever for making me the person I’m today! Happy new year! I may not be a good student but I remember every word you say and I always try to follow your advice. Happy new year teacher! Not every employee is so fortunate to have a supportive boss like you. Your support always makes my job easier for me. Wish you a happy new year! It’s always a pleasure working under your supervision. You’re the perfect boss and the best mentor for anyone. Happy new year! You’re a visionary leader and a dedicated mentor. Last year was a year of learning for me because of you. Thank you and happy new year! My professional life would be a waste if I didn’t have you as my mentor. You are the reason behind my every success. happy new year! I wish this new year will prove to be a happy and prosperous year for you. 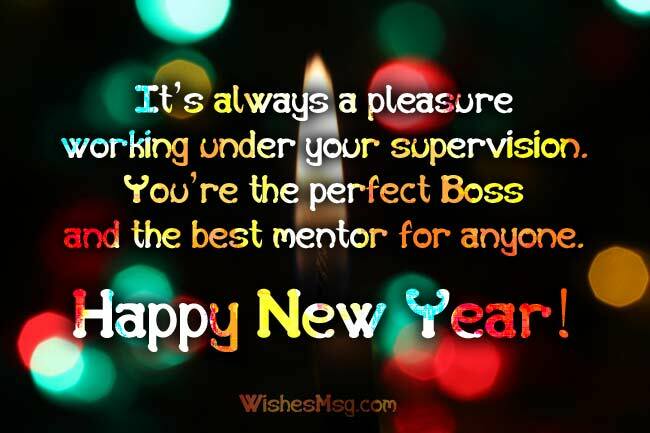 happy new year to my brilliant colleague! 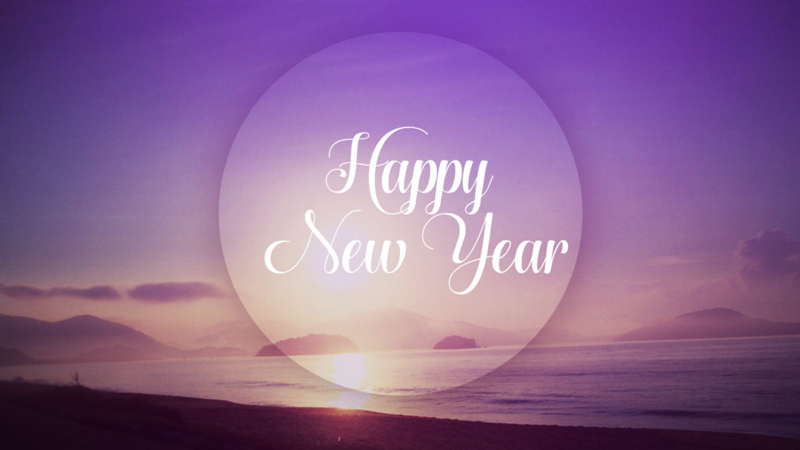 I hope you’ll turn every opportunity into success in the coming year. Keep yourself prepared for everything. You’ll always have my full support. Happy new year! My workplace wouldn’t be so full of fun and enjoyment if you weren’t my colleague. I feel lucky all the time. Happy new year! You and I always make a great team in whatever we do. Hopefully, we will keep this up in the next year too! happy new year! Doing business with you is always a pleasure. Hopefully, we’ll have more business with each other next year than last year. Happy new year! Any business would love to have some customers like you. It’s always good to know you’re satisfied with our service. Happy new year! Customer is the King. But some customers are more than a king. They are everything that we do business for. Happy new year! We are satisfied when you are happy. Your happiness and contentment are what we do business for. 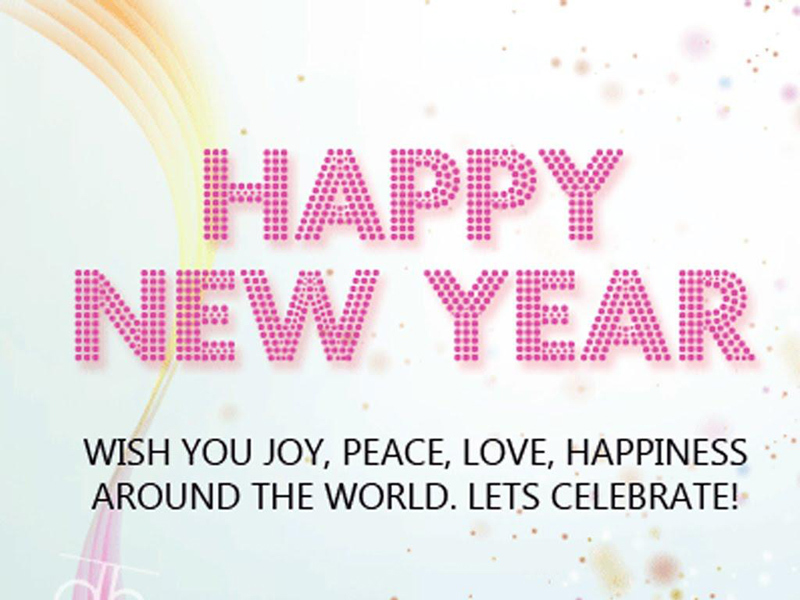 Happy new year dear customer! Enjoy every moment of the year that is leaving us and embrace the new opportunities of the new one! Never feel sad for what’s gone and never come back. Be hopeful for the one which comes with million opportunities! 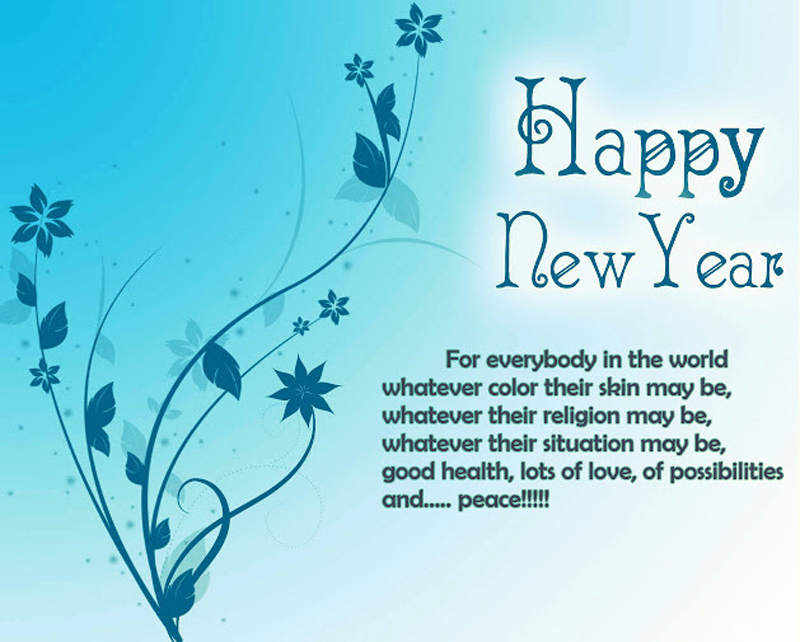 Its time to welcome a year that going to add new colors and new stories to your life. Happy new year! May the coming year be the most fruitful year of our lives. Happy new year to all! Let’s thank the year which has given us so many memories to remember as we prepare ourselves for the one which is about to take its place! 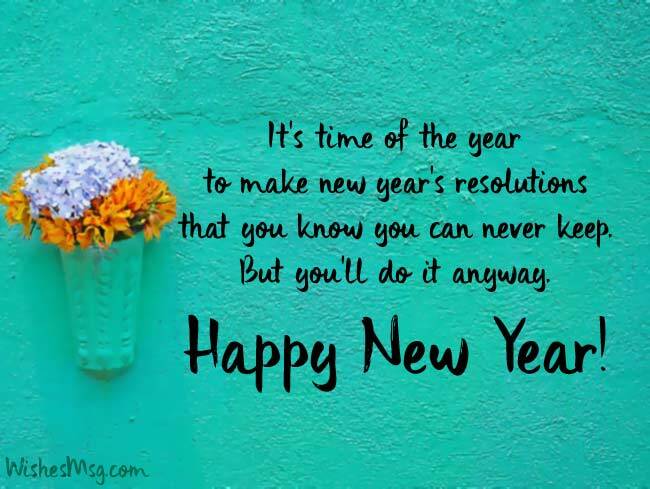 Wishing happy new year is not just a tradition these days, its means more than what you think. It’s a way of showing your loved ones that you’re thinking of them in this special moment. It’s a way of showing them that you care for them & you always hope the best for them.